The Kaye Red Walker is the newest Posture Control Walker with a family-friendly design to appeal to young walkers and their families. 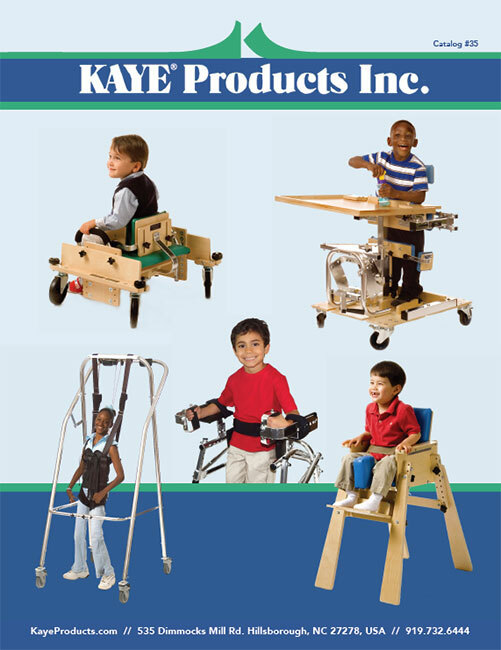 This walker functions like the Kaye Posture Control Walkers, supporting the child’s alignment and placing the child’s center of mass within the base of support of the walker for safety and balance. Both sizes have swivel front wheels, which can be locked for straight ahead tracking, and one way ratchet rear wheels. Accessories for this walker include forearm supports, pelvic stabilizer, swivel limiters, Kaye Extensor Assist Belt, and soft sling support. Folds for transporting and storage.